B.Com.– stands for Bachelor of Commerce. Generally a 3 years long course. B.B.A.– stands for Bachelor of Business Administration. 3 years long course. B.M.S.– stands for Bachelor of Management Science. 3 years long course. C.A.– stands for Chartered Accountancy. Duration depends on how you take training and clear exams. Integrated Law course. Duration is 5 years. It is a combination of General Graduation course and L.L.B. B.B.S.– stands for Bachelor of Business Studies. Course duration is 3 years. B.H.M.– stands for Bachelor of Hotel Management. Course duration is 4 years. B.E.– stands for Bachelor of Economics. Course duration is 3 years. B.F.A.– stands for Bachelor of Finance and Accounting. Course duration is 3 years. B.C.A.– stands for Bachelor of Computer Applications. Course duration is 3 years. B.Sc. Applied Mathematics. Course duration is 3 years. B.Sc. Statistics. Course duration is 3 years. B.M.M.– stands for Bachelor of Journalism and Mass Media. Course duration is 3 years. B.Sc. Animation and Multimedia. Course duration is 3 years. B.E.M.– stands for Bachelor of Event Management. Course duration is 3 years. B.F.D.– stands for Bachelor of Fashion Design. Course duration is 3-4 years. B.El.Ed.– stands for Bachelor of Elementary Education. Course duration is 4 years. B.P.Ed.– stands for Bachelor of Physical Education. Course duration is 1 year. D.El.Ed.– stands for Diploma in Elementary Education. Course duration is generally 2 years. B.SW.– stands for Bachelor of Social Work. Course duration is 3 years. If you are interested in detailed analysis of some good and valuable professional courses that one may pursue after 12th Commerce schooling, the next section will be of much use. In the next section, I’ve listed and analyzed some very popular as well as interesting courses, which not only offer god job scope, but also will help one scale up career ladder smoothly! B.Com. stands for Bachelor of Commerce. This is a course that most 12th Commerce stream students pursue after schooling! And there are many reasons why this course is so popular. First of all, the level of academic difficulty associated with this course is not too high. That means it is relatively easy to go thorough B.Com. program and obtain a Degree. Another advantage is that it allows students to venture on to other fields. It is one such course, after doing which, one may go for other job oriented courses such as M.B.A., Vocational courses, Skill oriented courses etc. Also, there are number of Private as well as Government Institutes offering B.Com. programs throughout India! So, finding a College and seat won’t be too difficult a task for 12th passed Commerce stream students! This, according to me, is another advantage that B.Com. course offers. When it comes to B.Com., course duration is 3 years. After its completion, students may go for M.Com., which is Masters program. M.Com. will take 2 years to complete. 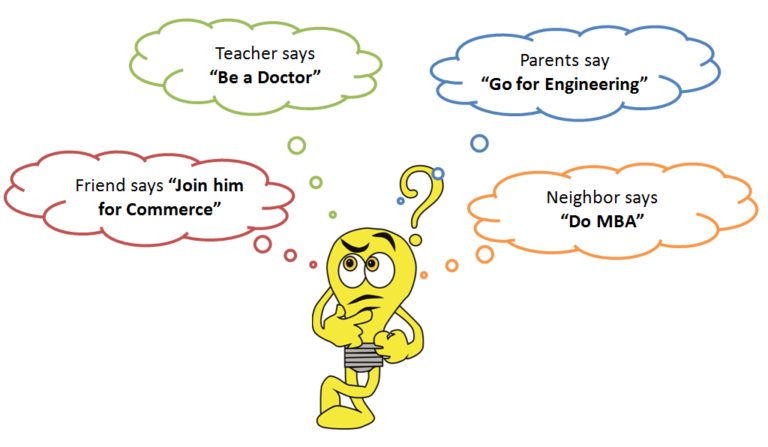 After B.Com.-M.Com., one may easily get a job in teaching sector. Other than that, there are numerous job opportunities for B.Com. graduates in Private and Government sectors. There are many Government job posts for which B.Com. graduates may apply. And there are many accountancy, finance and clerk posts available in Private companies, for which B.Com. graduates may apply. Those were some main subjects taught in B.Com. program. Please note that many subjects gets repeated in each semester. Also, many elective subjects are also present in case of each semester. In case of B.Com. (Honours) program, specializing opportunity is also present, where students may select a particular Discipline and specialize in it! Usually, only Graduates are allowed to pursue L.L.B. But, thanks to new rules, it is also possible for 12th Commerce students to pursue Law course from Law schools after schooling. But to do so, they will have to select an integrated Law course! Such integrated courses lasts 5 years. These Integrated courses are combination of a Degree course and traditional L.L.B. course. For example- B.Com. and L.L.B./ B.A. and L.L.B. etc. Talking about job opportunities, one may take up job in any law firm at the beginning. Gradually, one may start up on one’s own private practice, start a consulting firm or even start an own law firm! Those were some important subjects taught during L.L.B. program (Integrated or Regular). Apart from the theoretical subjects, regular Moot Court sessions are also held throughout the program. Some subjects will keep on repeating throughout different semesters. C.A. stands for Chartered Accountant. Job of a C.A. is to see to it that the financial affairs of businesses and companies are in accordance with the laws set by Government authorities. Their tasks include looking into tax affairs, look into financial transactions through auditing, creating necessary reports etc. In case of 12th Commerce passed students, they may start off by applying for CPT (Common Proficiency Test). This test managed by ICAI. Once CPT is cleared, students have to appear for C.A. Inter course. After completing C.A. Inter exam and doing Information Technology Training Course, one may appear for C.A. Final exam! After clearing the final exam, one is said to have completed Chartered Accountancy test and become a C.A.! Studying involved in becoming C.A. is tough. But at the same time, the career prospects are exciting! After becoming a C.A., one may take up positions related to Finance department in Private companies as well as Government Enterprises. After gaining some experience, one may also start working independently, offering consultation services as well as operating as a private auditor who may be hired by companies and businesses! B.B.A. stands for Bachelor of Business Administration. It is a 3 years long Degree course. After completion, one may also follow it up with an M.B.A. (Master of Business Administration) Degree too! After B.B.A., one may land managerial jobs in private sector. Though jobs are available for B.B.A. graduates in Government sector, the private sector offers more opportunities! Many MNCs recruit talented B.B.A. graduates to deal with management and finance related posts. Apart from the above mentioned subjects, B.B.A. students also have elective subjects to choose, based on the area in which they want to specialize! Some subjects will keep on repeating throughout the program’s different semesters. Why I mentioned this course here is that Commerce stream students will find it relatively easier to deal with B.Economics. or B.A. Economics. After completing this course (which lasts 3 years), one may land jobs in private as well as Government sector. There are many Government posts, which B.A. Economics graduates are eligible to apply for! And in private sector, companies hire graduates to take up posts related to finance. Please note that I’ve listed only the important subjects. And many of these subjects will keep on getting repeated throughout the program. For any company to function properly, a company secretary is needed! And to become a C.S., one has to appear for Company Secretaryship course and clear the exams associated with the course. ICSI (Institute of Company Secretaries of India) is the Institute that has been tasked by the Government to conduct the course as well as examination! When it comes to Hospitality courses, the eligibility criteria is not very strict. Even 10th passed students may pursue Hospitality Diploma courses! But on the other side, such courses possess good value too! I must say that they are job oriented courses. I’ve already published an article where I’ve listed some good Hospitality Diploma courses. Please go through that article to get more details about the different hospitality courses. Commerce stream students may go for certificate/diploma/degree course, when it comes to animation and multimedia field. Job opportunities are available in ample amounts. Particularly after the success of many animation movies, animation artists are in demand! Based on the nature of the course program, its duration may vary from 6 months to 3 years. When it comes to this field, Diploma as well as Degree programs are available. Based on the program, the duration may be between 1-3 years. Talking about job opportunities, one may get job in major media houses, both print as well as digital media. Certificate, Diploma as well as Degree courses are available, when it comes to Event Management. Course duration varies between 1-3 years, depending upon the program. I’ve already written a detailed article about Event Management courses. Please go through that article to get more details such as career prospects, list of Institutes offering Event Management Course etc. To thrive in this field, you need to have creativity as well as interest towards fashion and designing. This is a vast field. There are different small sections within this field such as- apparel designing, accessories designing etc. Different programs such as diploma, certificate as well as degree courses are available. Depending on the program, duration of the course may be 1-4 years. Talking about job opportunities, private sector jobs are available, which one may take up. Also, one may start up on one’s own too! A job oriented course this one is! It certainly has got elements of hospitality sector. But, degree course in Hotel Management is more valuable than the hospitality diploma courses that I mentioned above. Course duration is 4 years, in case of Degree course. And when it comes to job opportunities, there are jobs available in both Private as well as Government sectors!